The Bank of Ireland Women's Leinster League finals will take place tomorrow, Saturday, March 23 in Naas RFC, with three of the four titles up for decision. Last year's finals were also played in Naas RFC in front of record attendances. Cups, medals and player-of-the-match awards will be presented straight after each game. Entry on the day costs €5 for adults and U-18s go free. Barnhall come in as table-toppers after winning 11 of their 12 league fixtures. Dublin University also had a great season, winning nine of their 12 games. When these two met in the league, spoils were shared with both sides winning away from home. En route to the final, Dublin University overcame last season's Division 4 winners Port Dara Falcons, with MU Barnhall beating Clontarf. In their first year in Division 2, Wicklow have been a revelation, going unbeaten to this point. Division 1 rugby is a clear intention for them. Edenderry will provide a tough challenge for the Wicklow side though. Reinvigorated, they will be looking toward reclaiming their position in Division 1. Wicklow's route to the final came at the expense of Clondalkin RFC in the semi-final, winning 27-5 at Ashtown Lane. Finals day will be rounded up with the Division 4 final between Naas RFC and Portlaoise RFC, with both teams eager to claim the Division 4 title and play rugby in Division 3 next season. Portlaoise were beaten last year by Port Dara Falcons and the year before by Wanderers. On their way to the final this year, Portlaoise had a strong 34-0 win over Greystones. Naas will look to finish off a near perfect season, having only entered a women's team for the first time this season. Their semi-final against Tullamore J1 was conceded by the Offaly side. Naas edged the first league meeting between the sides in November (20-10), while the return fixture provided a thrilling 29-29 draw. 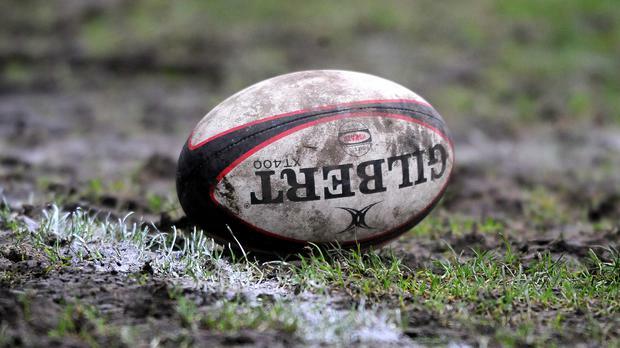 Due to a bereavement in Tullow RFC the Division 1 final has been moved to Tuesday, March 26 at 8pm in Naas RFC where table-toppers Suttonians RFC will take on Tullow RFC. Tullow took on Tullamore in a refix of their semi-final game on Friday, March 15 due to a serious injury in the original fixture. A close game saw Tullow home on a scoreline of 10-7. Tullow pipped Suttonians in last season's Division 2 final and with some changes to the leagues both sides still ended up in Division 1/AIL QL this season. Suttonians sit on top of their table with an incredible unbeaten run, 14/14 and 70 points.